During a show at Slippery Rock University in Pennsylvania, Rapper Lil Wayne announced he has joined the Roc Nation family. This comes after a bitter and long feud with his former partner, Birdman of Cash Money records. After sharing the news, Wayne put up the Roc’s diamond hand sign before launching back into his performance. 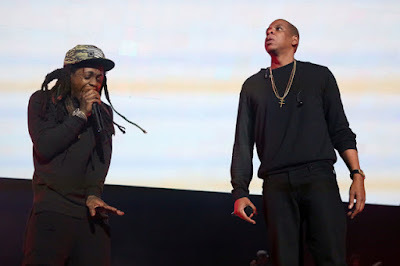 Wayne has been contemplating a deal with Jay Z for years, dating back to the days of Roc-A-Fella Records. If this deal works out, the longtime Cash Money Records artist will finally move to another label for the first time in his career. However, this is not the first time he has announced that he was a part of Roc Nation. Back in 2015, the rapper said he signed a deal with Jay Z but it turned out to be false news. He simply secured a partnership with Tidal.